November 9, 2015 – NASA’s Solar Dynamics Observatory spotted an active region near the right-hand edge of the sun’s disk, which erupted with at least a dozen minor events over a 30-hour period from November 3-5, 2015. 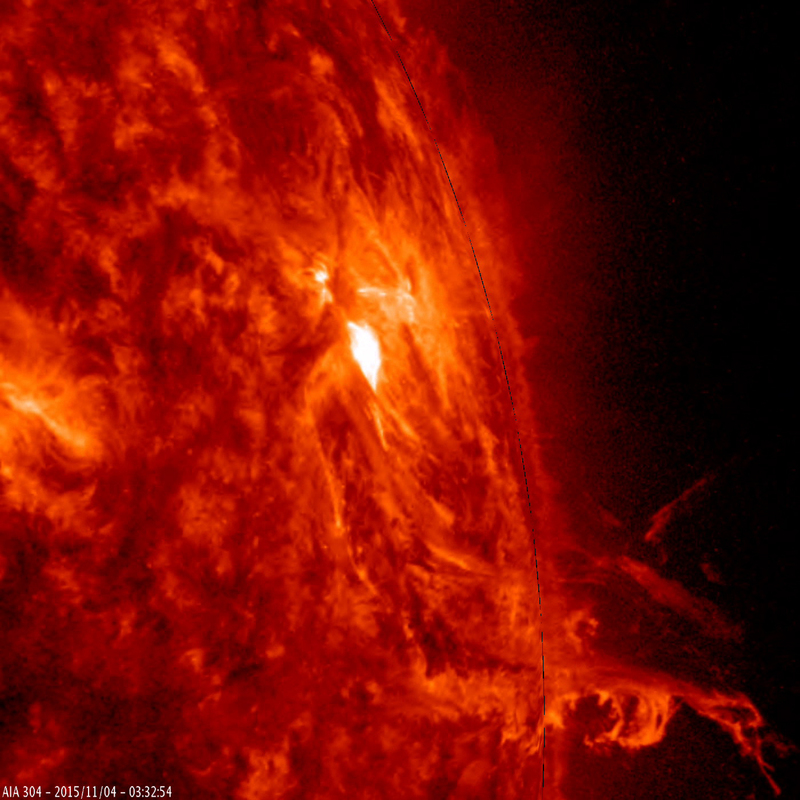 As competing magnetic forces grappled with each other, tongues of solar material lashed out from the sun’s surface and several small flares erupted –seen as white flashes in this extreme ultraviolet wavelength of 304 angstroms. Though the sun’s extreme ultraviolet light is invisible to our eyes, the wavelength is colorized here in red.